In the United States, slope is typically given in inches per 1 foot or as a ratio of inches per 12 inches and is often referred to with units of "pitch". Ex. In metric countries it is common to use degrees or 10 or 100 as denominator. Ex. Engineering ToolBox, (2010). Roof Framing. 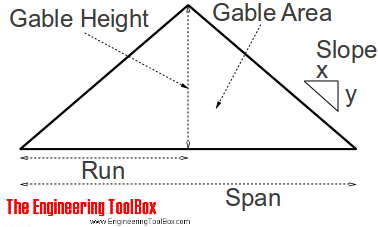 [online] Available at: https://www.engineeringtoolbox.com/roof-framing-d_1715.html [Accessed Day Mo. Year].